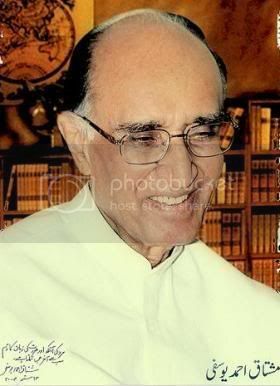 Mushtaq Ahmed Yousufi is one of the most famous humorist and a humanist from Pakistan. The subtlety of his satire laced with an unlaboured and chaste Urdu idiom is his speciality that distinguishes him from others in the field. A couple of months ago, he was in New York. He was invited as the keynote speaker in an event organized by Aligarh Alumni, USA. Since I have been an avid reader of his books therefore I always had this image of him in my mind that he must be a very talkative and witty person. Somebody, who could never be forced to keep quite. But when I met him that evening , my first impression of him was of extreme modesty. He came across as a very sober person to me. When he started his talk, there were a number of moments where his humor did its usual cut and the audience were split into smiles and laughter. I observed that whenever his humor got closer to crossing the thin line of vulgarity, Yousufi saheb masterfully dusguised it with his choice of literary words such that the meaning stayed intact but created huge giggles among the audience. What do others have to say about him? …if ever we could give a name to the literary humour of our time, then the only name that comes to mind is that of Yousufi! Mushtaq Ahmed Yusufi is basically a humorist who plays with the language and paints a picture of man, decentralized and imperfect. He combines all the styles, pre-modern, modern and post-modern. Rasheed Ahmed Siddiqui is pre-modern; Pitras is modern and Yusufi is post-modern. Rasheed Ahmed Siddiqui generally writes on cultural trends and style of living such as Tanga and Charpai. The language used by him is narrative and he paints the picture of our society in a very realistic way and without exaggeration. But his keen observation presents minute details with photographic details. He always tries to avoid the language of the masses or the language of the man in the street. 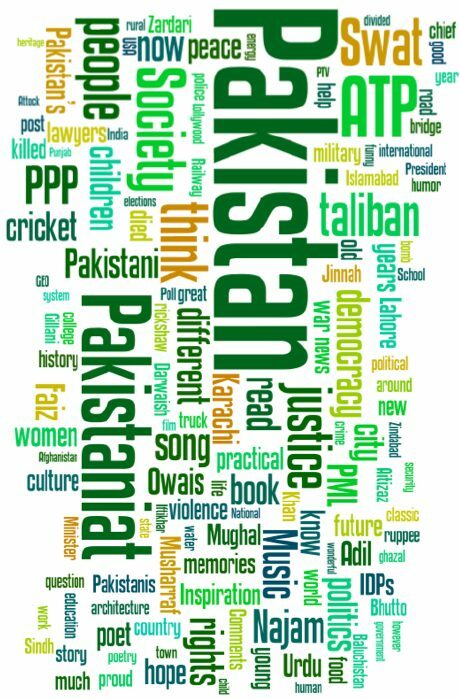 Literary language is different from massesâ€™ expressions. He writes in an elevated language full of literary references but he does not peep into the depths and social behaviours of man. But his humorous writings contain literary values. Modern humour writing begins with Pitrus Bokhari. He writes light essays and uses elevated modernized language. He is a modern humour writer influenced by western literature and not deeply rooted in our culture. His light essays such as Bicycle, Lahore ka Geographia and other essays present his individualized style different from other humorists. However, he is a significant writer who will be regarded as a modernist in the history of Urdu Literature. Mushtaq Ahmed Yusufi is a humorist with unified sensibility. He combines pre-modern, modern and post-modern sensibility in such a way that no other writer can paint the picture of man and society as he has painted it. His objects of humour are man, society and nature. From Charagh Talay to Aab-e-Gum, we have the best humour available in recent times. Born in Tonk State in Rajhastan in 1923. Son of Abdul Karim Khan Yousufi, chairman of the Jaipur Municipality, and later Speaker of the Jaipur Legislative Assembly. M.A. in Philosophy, Muslim University, Aligarh. LLB, Aligarh. Joined Muslim Commercial Bank in 1950, became Deputy General Manager. Joined Allied Bank Ltd in 1965 as Managing Director. In 1974 he became President of United Bank Ltd. In 1977 became Chairman of the Pakistan Banking Council. Awarded Quaid-i-Azam Memorial Medal for distinguished services in banking. First two won Adamjee Prize, while last one got the Hijra Award as well as Pakistan Academy of Letters Award for the best book, 1990. He was also awarded Sitara-i-Imtiaz. The Yousufi era started in with his first book Charagh talay . So far 11 editions of this book have appeared. It has a foreword titled ‘pehla pathhar’ written by the author himself plus 12 satirical and humorous articles. Yousufi Sahib’s second book was Khakim ba-dahn which was dedicated to his wife, Idrees Fatema. So far 14 editions of this book have been printed. It has eight articles, in addition to a foreword written by the author. Yousufi’s third book Zarguzasht has 11 articles in addition to the foreword titled, ‘Tuzk-i-Yousufi’. His fourth book, Aab-i-gum is dedicated to his children, Arshad, Sarosh, Rukhsana and Seema. It runs into 404 pages and has five articles, in addition to the foreword. If an author has to say something he should say it in his writings. If he cannot do that, then he is useless and not fit for an interview! How can you judge my writings by knowing what I wore on Eid and what are my favourite dishes? Let me quote some lines at random from this book. This is the first time in recent months when a doctor present here has not asked me to undress. They carried out 26 medical tests for several health conditions on me a few weeks ago. I tested positive for all. Pregnancy was just about the only condition they didnâ€™t test me for. At my age a man has usually known all kinds of pain, save labour. The generation I belong to was raised believing that it was your eldersâ€™ prayers that caused childbirth. In England, aged 60, I discovered they put on adult programmes on TV after 9pm. Pity, I didnâ€™t know that a decade earlier. What I saw, however, reminded me of the only lessons I got in human anatomy and biology as a little boy from the curse words adults used back home. Itâ€™s unfair to judge a literary genre out of its context. Consider a politically correct version of Mominâ€™s famous couplet: Tum mere paas hoti ho goya/ jab koi doosri nahin hotiâ€™ (you are in my thoughts only when others (girls) are not). â€˜Hafiz Jallundhri has wisely said: ye ajab marhala-i-umr hai ya Rab ke mujhe/ har buri baat buri nazar aati haiâ€™ (At this strange juncture in life, every vice appears just that). We are lucky indeed to be living in the Yousufi era! The biography of Mushtaq Ahmed Yusufi has been written by “Tariq Habib” namely “Yusufiat” and published by “Dost Publications”. Dear Lovers of URDU Language and Dear Lovers of URDU Literature ! “”JASHN e AYUB KHAWAR , Presentation of Urdu Manzil Adabi/Literary Award to Ayub Khawar from Pakistan for his grand services for Urdu language and Urdu literature and Aalmi/ International Mushairah (Pakistani,American,Indian URDU poets,writers)in honor of Ayub”” in Bur Dubai Al Ibrahimi Restaurant on 25th. March , 2010 at 8 pm.